The Gambia is a country in West Africa. 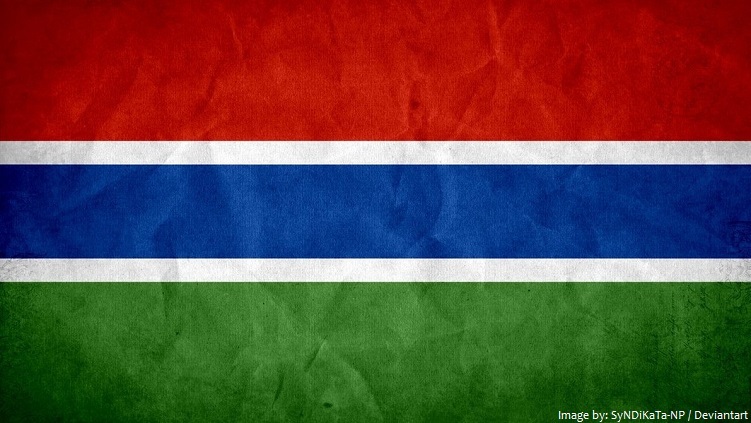 The official name of the country is the Republic of The Gambia. The Gambia is entirely surrounded by Senegal except for its coastline on the Atlantic Ocean at its western end. As of 1 January 2017, the population of Gambia was estimated to be 2,088,398 people. 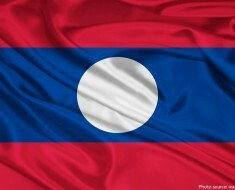 It is the 159th largest country in the world in terms of land area with 10,689 square kilometers (4,127 square miles). 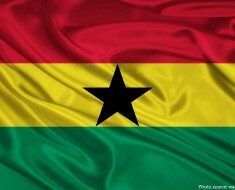 It is the smallest country in mainland Africa. Banjul, officially the City of Banjul and formerly known as Bathurst, is the capital of The Gambia. 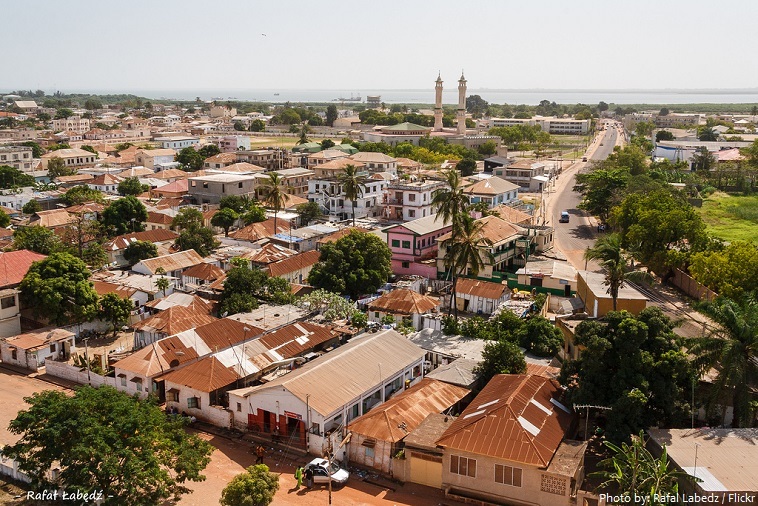 The city is on St Mary’s Island (Banjul Island), where the Gambia River enters the Atlantic Ocean. The island is connected to the mainland to the west and the rest of Greater Banjul Area via bridges. The Gambia is a very small and narrow country with the border based on the Gambia River. 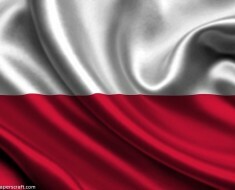 The country is less than 48 kilometers (30 miles) wide at its greatest width. The Gambia River itself is one of Africa’s major rivers. It stretches 1,120 kilometers (700 miles) from northwestern Guinea all the way to the Atlantic Ocean at the city of Banjul. It is navigable for about half of that length. 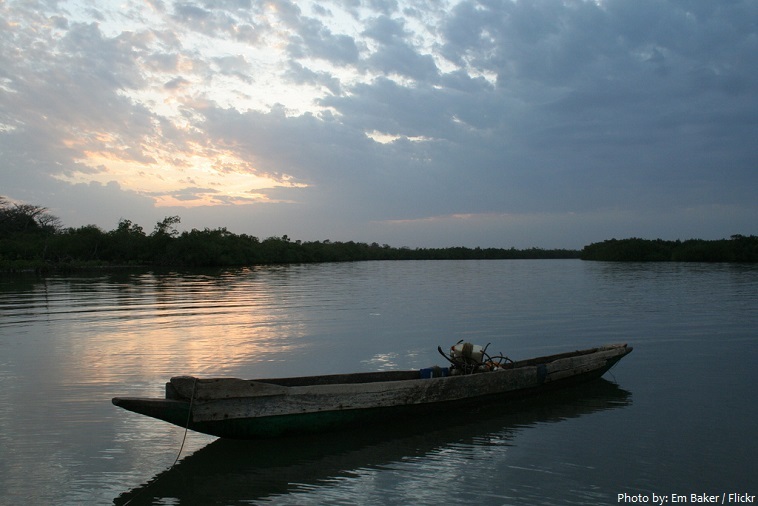 About 1,300 square kilometers (500 square miles) or 11.5% of the Gambia’s area is covered by water. The highest point of the country is Red Rock, at only 53 meters (174 feet) above sea level. 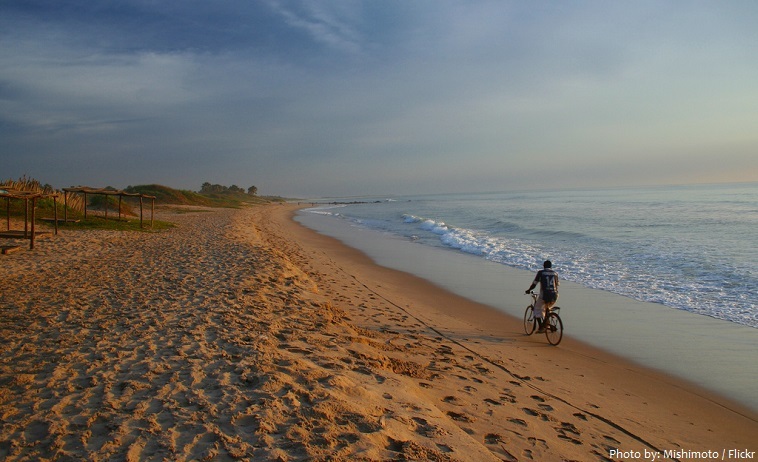 The Gambia has 80 kilometers (50 miles) of coastline. The Gambia is a wonderful beach holiday destination all year round with daily temperature highs ranging between 29°C and 34°C (84°F and 93°F) . Popular beaches have plenty of beach bars, restaurants and sunloungers and are never overcrowded, even in the height of the season. Golden sands line almost the entire coast and whatever the time of year you can easily find a secluded beach without a soul in sight. reserve and other types of protected areas. Abuko Nature Reserve is located south of the town of Abuko. It is a popular tourist attraction and was the country’s first designated wildlife reserve. 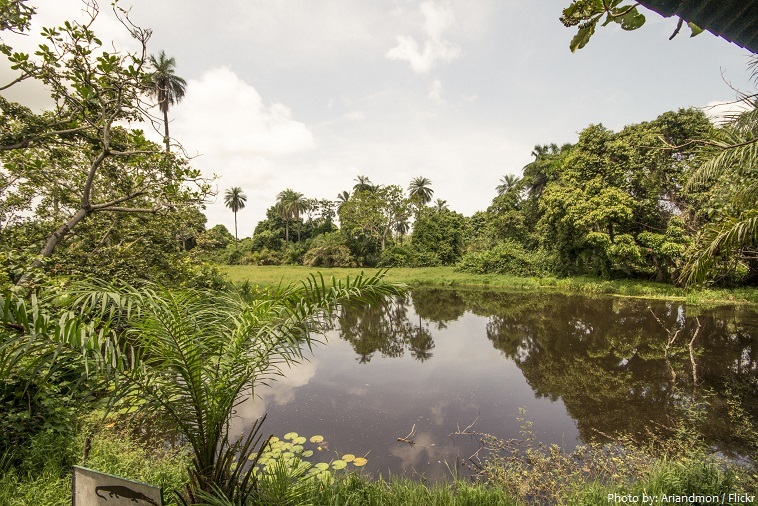 The area was first accorded some measure of protection in 1916 when the Lamin Stream, which flows through the reserve, was fenced to form a water collection point. The reserve was officially formed in the 1960’s. 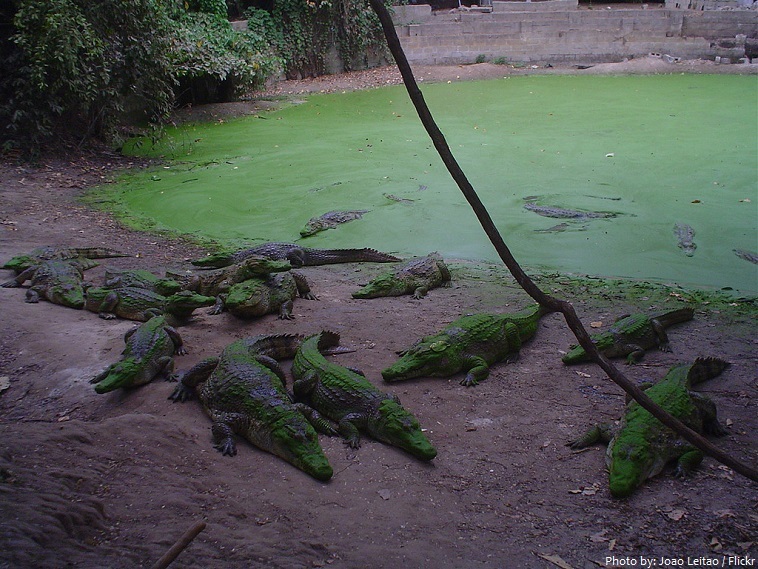 The Kachikally crocodile pool is located in the heart of Bakau, about 16 kilometers (10 miles) from the capital Banjul. It is one of three sacred crocodile pools used as sites for fertility rituals. Kachikally is a privately owned shrine belonging to the Bojang family of Bakau, one of the founding families and major land owners of the city. The exact number of crocodiles is not known but it is estimated that there are about 80. The Gambia 2 UNESCO world heritage sites. 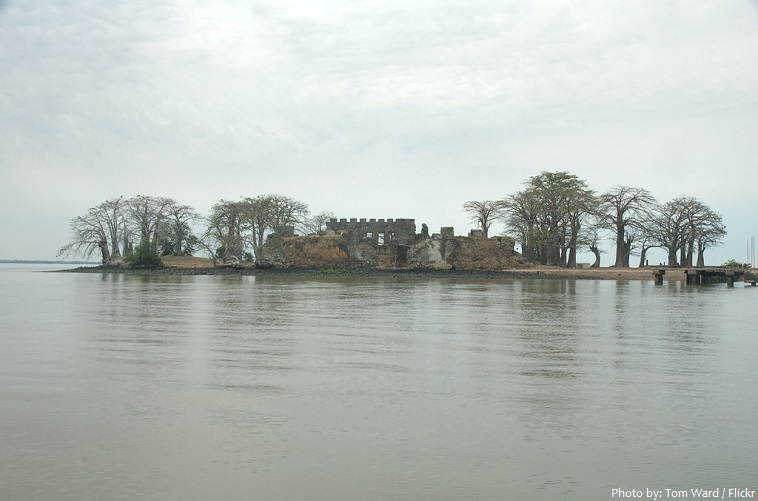 James Island and Related Sites present a testimony to the main periods and facets of the encounter between Africa and Europe along the River Gambia, a continuum stretching from pre-colonial and pre-slavery times to independence. The site is particularly significant for its relation to the beginning of the slave trade and its abolition. 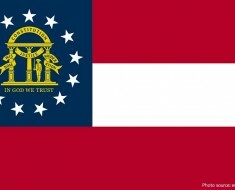 It is listed as a UNESCO World Heritage Site. The Stone Circles of Senegambia lie in The Gambia north of Janjanbureh and in central Senegal. 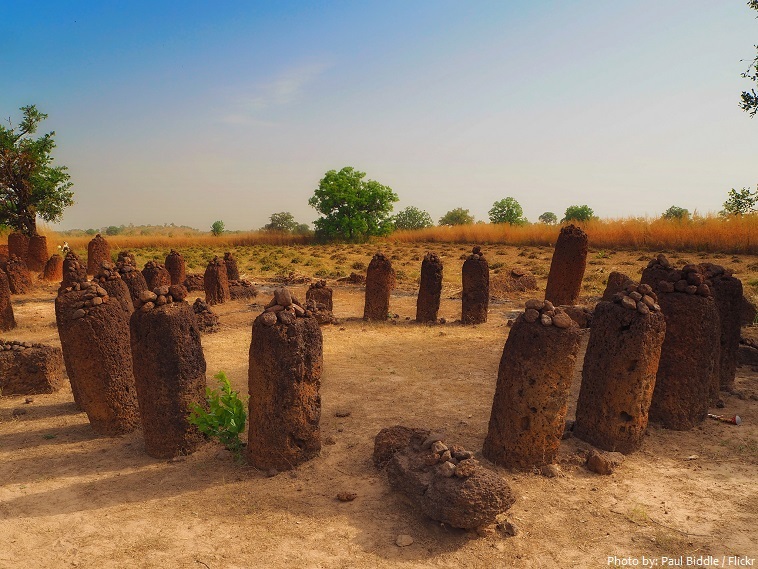 The site consists of four large groups of stone circles that represent an extraordinary concentration of over 1,000 monuments in a band 100 km (62 mi) wide along some 350 km (220 mi) of the River Gambia. The four groups, Sine Ngayène, Wanar, Wassu and Kerbatch, cover 93 stone circles and numerous tumuli, burial mounds, some of which have been excavated to reveal material that suggest dates between 3rd century BC and 16th century AD. It is listed as a UNESCO World Heritage Site. 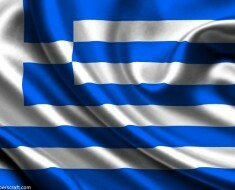 The Portuguese reached this area by sea in the mid-15th century, and began to dominate overseas trade. 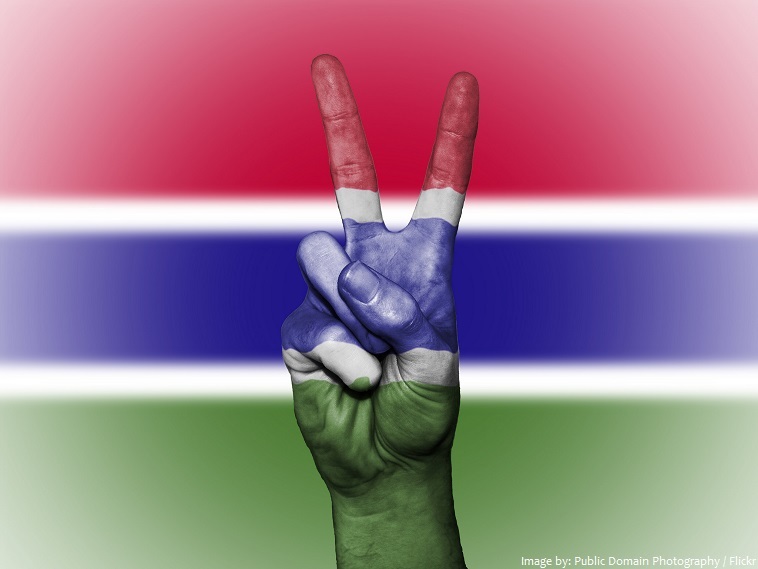 The Gambia achieved independence on 18 February 1965, as a constitutional monarchy within the Commonwealth, with Elizabeth II as Queen of The Gambia, represented by the Governor-General. The Gambia left the Commonwealth of Nations in 2013. The Gambia’s economy is dominated by farming, fishing, and especially tourism. The cuisine of The Gambia includes peanuts, rice, fish, meat, onions, tomatoes, cassava, chili peppers and oysters from the River Gambia. A variety of ethnic groups live in the Gambia, each preserving its own language and traditions. Islam is the predominant religion, practised by 96% of the country’s population. The Gambia is a very liberal Muslim country. Not only is alcohol widely available, they even brew their own beer, the popular and ubiquitous Julbrew. The national and most popular sport in Gambia is wrestling. Association football and basketball arealso popular. The name “Gambia” is derived from the Mandinka term Kambra/Kambaa, meaning Gambia river. The Gambia is one of only two countries whose self-standing short name for official use should begin with the word “The” (the other one being The Bahamas). In 1964, the prime minister of The Gambia said that one of the reasons they like to have “The” in their name is to avoid confusion with Zambia. In comparative terms, the Gambia has a total area slightly less than that of the island of Jamaica.